I just found out that the celebrated documentary photographer Mary Ellen Mark passed away. I had the chance to meet her when I first started college during an artist lecture. I'm reposting my recap of the moment I saw her speak from a blog post years ago. You know, after the lecture, my friend and I waited in line to get her signature. My friend Sarah was obsessed with her. She bought her book and had already one other collection of works at home. She was so excited but I was somewhat in a daze. Truth be told she wasn't my favorite at the time, but she left quite impression. Approaching her for a signature was the most awkwardest thing for me. I kept thinking, "Geez, she must hate this stuff." She was so quiet and humble though. We didn't really exchange much words. And it being 2015, I can't even recollect what we said to each other. That's how insignificant the moment was for....both of us. But it wasn't until years later that I realized the pivotal parts that her photography played in my life. 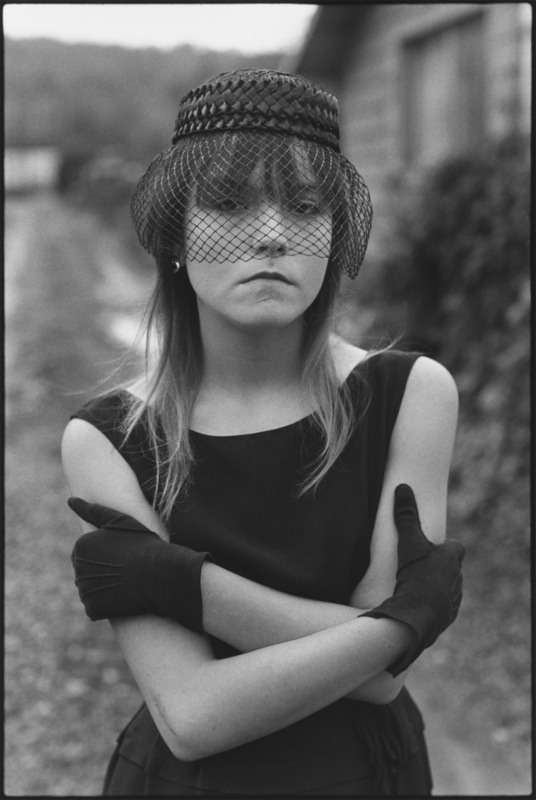 Mary Ellen Mark has played a role in my life indirectly. In college, I went to a school that had a teeny tiny photo studio up on the third floor of the art building. The photography department at the time was a single large room with several smaller rooms inside that were for developing film, prints, and printing digital images. A poster tacked on a cork bulletin board was placed directly in front of the door to that room. It showed a woman who greeted me every day at the photo lab. Her name was “Tiny”. She watched me the day I developed my first roll of black and white film. She kept me company when I was waiting for my fiber based prints to dry. She witnessed me struggle through countless efforts of every possible worst case scenario that a photo student goes through. At 8 am, she was there. At midnight, she never left. And she was there when I took my last steps through that room and out the door. Essentially this image was a constant visual for me as I grew from being a young bright eyed teenager to a young adult. She never judged. She just looked on, waiting, for me - who knows? Thinking about it now, I never realized how much that photo did for me. It's a sign of nostalgia, a mark of what photography portraiture perfection looks like, and a beacon of what I could do myself. It amazes me that one little picture can do so much. Thank you Mary Ellen Mark. Your work has transcended much further than you’ll ever know.